Edmund Weber Jewelers have been San Francisco custom jewelry designers since 1962. 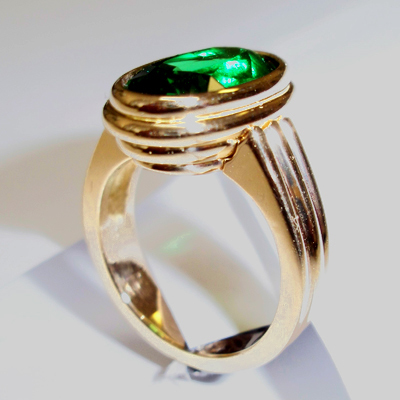 We have made custom pieces for many of the famous jewelry stores in San Francisco. 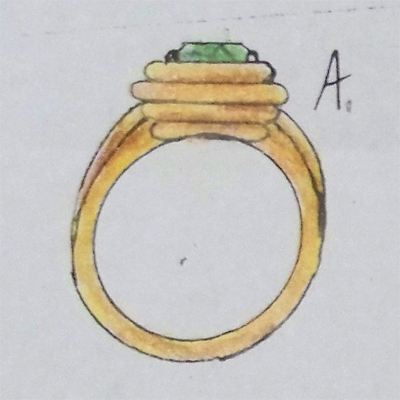 Our goldsmiths are experts at taking a sketch and turning it in to a beautiful piece of jewelry. 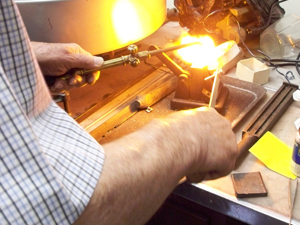 We use a varitey of techniques from wax casting to hand fabrication to produce pieces to your exact specification. The custom design process starts with what you want. 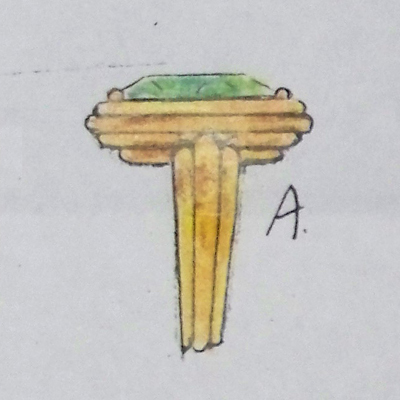 We draw up a sketch according to your specifications, and then either cast or hand fabricate the piece in gold, white gold, or platinum. If you want a truly unique one of a kind piece of jewelry, then a custom design from Edmund Weber Jewelers is the right way to go. 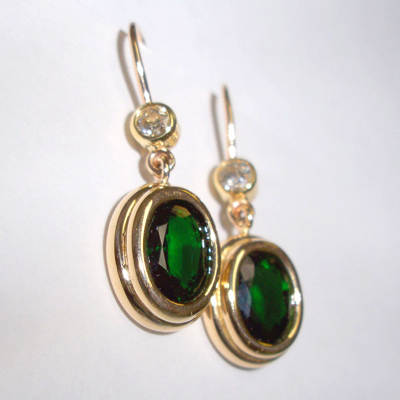 The Emerald Ring and Earring set pictured here are a custom design we did for a customer recently. 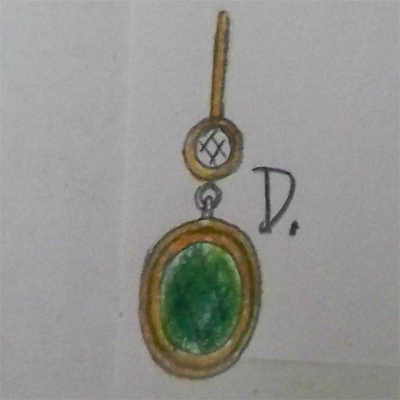 They had some emeralds from some older jewelry in their collection, and wanted somthing new. We used their stones to create a custom design to their specification, and can do the same with any old jewelry you have in your collection.